Wondering what the best teeth whitening options are so you can have a brighter smile? Teeth whitening is a popular choice for those who are wanting to improve the way they look when they smile. The fact that there are many teeth whitening options available nowadays makes it necessary for you to look further into these options so you can choose the teeth whitening option that is going to best meet your particular needs. In order to keep track of how well the teeth whitening method you choose to use is working, simply take a photo of your teeth every few days so you can see the progress. Yes, there are natural teeth whitening options available. 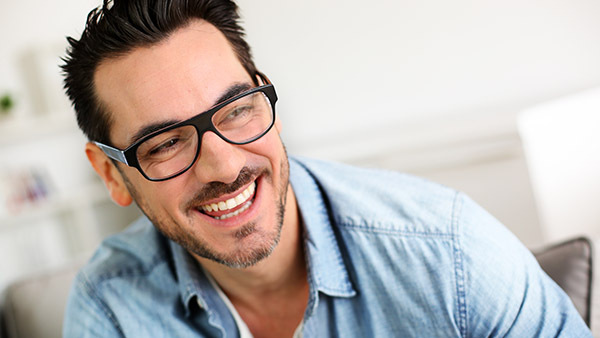 While it is important for those who are interested in naturally whitening their teeth to explore all of the whitening options that are available today, it is also recommended that they first check with Bellevue Implant & Cosmetic Dentistry before using one of the many teeth whitening options in order to get a professional’s opinion. Baking soda. Baking soda is able to whiten one’s teeth over a period of time, with a focus being on the front teeth. All it takes is putting a little baking soda on a toothbrush and then gently polishing the teeth for a minute or two. For those who think that baking soda is too abrasive for the teeth, understand that baking soda actually has a low value of abrasiveness. Hydrogen peroxide. Hydrogen peroxide is an option to whiten one’s teeth when very low concentrations are used. While suggestions say not to use anything higher than a 1% ratio, asking an experienced dentist is highly suggested for those who are thinking about using hydrogen peroxide in order to make their teeth whiter. Activated charcoal. Activated charcoal is an alternative teeth whitening option and works by absorbing any porous substances that may be causing the teeth to be discolored. Activated charcoal may also support overall good oral health by killing bad bacteria in the mouth, which can help prevent tooth decay. Avoid consuming drinks or foods that stain teeth. While it may be challenging, avoiding consuming drinks and/or foods that are known to stain teeth is going to keep teeth looking their absolute best. Drinks and foods that can cause teeth to stain include coffee, tea, soda, wine, candy, berries, more. The fact that there are many natural teeth whitening options available for you to choose from makes it necessary for you to understand how each of these options work so that you are able to make a decision that works best for your teeth. If you have any questions or concerns about whitening your teeth, know that an experienced dentist can answer your questions. « What Happens if You Use Out of Date Mouthwash?